The centenary year of 1st Kandy Dharmararaja Scout Group and 35th Anniversary year of Old Rajans Scout Association begins with the blessings of Triple Gem as the Seth Pirith and Arms Giving held at Lake View Park International Scout Centre. 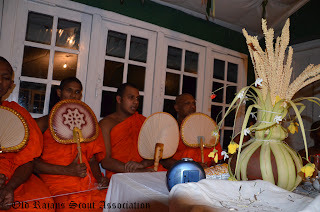 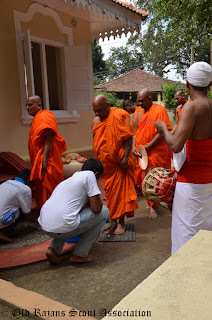 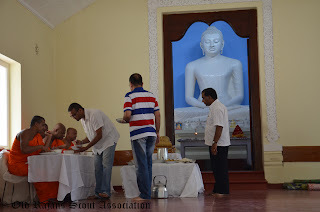 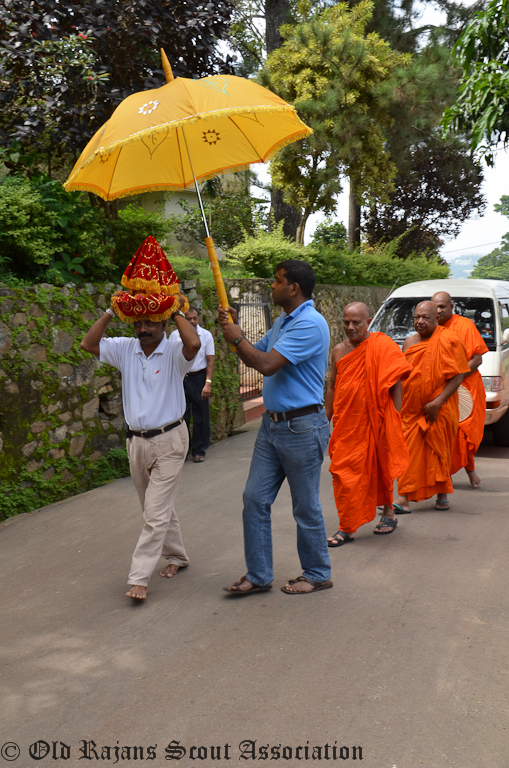 The Seth Pirith chating held on 5th January 2012 by the Maha Sanga of Asgiri Mahavihara Piriven Vihara followed by the Arms Giving to Maha Sanga on following day. 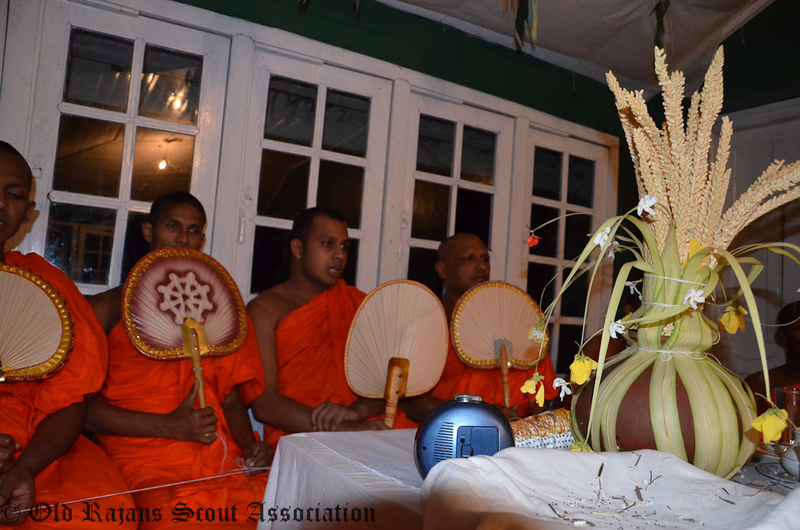 Maha Sanga also expressed the importance of the coming year to both scouts and old scouts as the all-important centenary celebration to be held in February with RISGO 2013. Mr. S. M. Keerithirathna, Principal of Dharmaraja College, memebers of Old Rajans Scout Association, Scouts of 1st Kandy Dharmaraja Scout Group were present at the event. 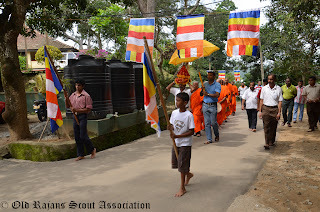 The immensely successful Pirith Pinkama and Arms Giving was possible as the former President of Old Rajans Scout Association Mr. Asitha Edirisooriya organized the event.